They are a local treasure to everyone who enjoys the trails and waterways at Horn Pond. Seeing them out together on the Big Pond was a perfect end to my Monday. Well, you just got another SQUEE out of me. These are stunning photos! The light added a magical quality. Had to be beautiful to see in person. Gorgeous captures. I love the water! Very well done!! Boom, Bobbi and Gary. 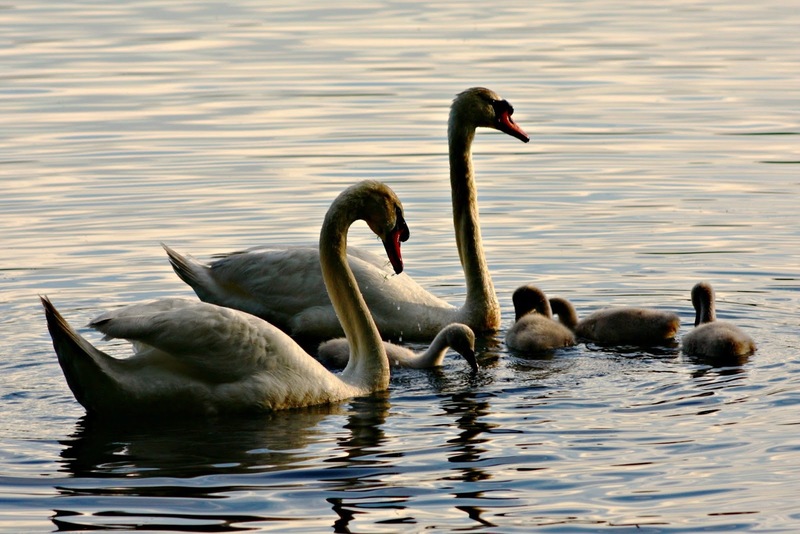 Wonderful shots of the swans. They're always a joy to see. Swans, gorgeous. Swans + glimmering sunset - amazing!!!! 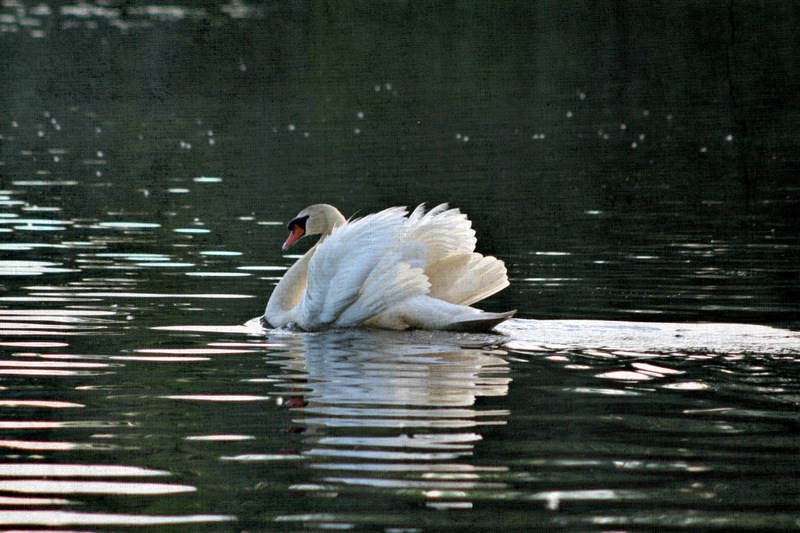 Lovely sighting and photos of the swans.. The reflection on the water is pretty. Have a happy week! I can't stop smiling!!!! Gorgeous captures of your special encounter!!!! Oh, that light! So, so beautiful, Adrienne! Perfection! 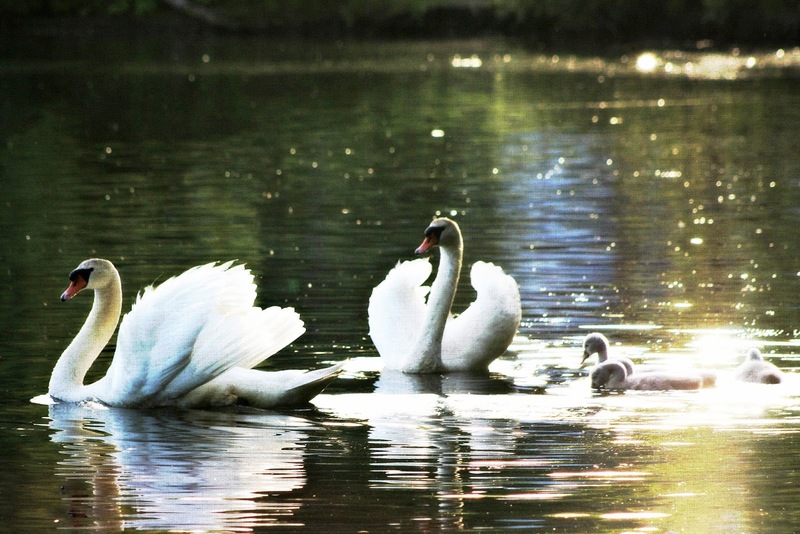 I love swans and these photos captured them beautifully. What an amazing end to the day. Beautiful. 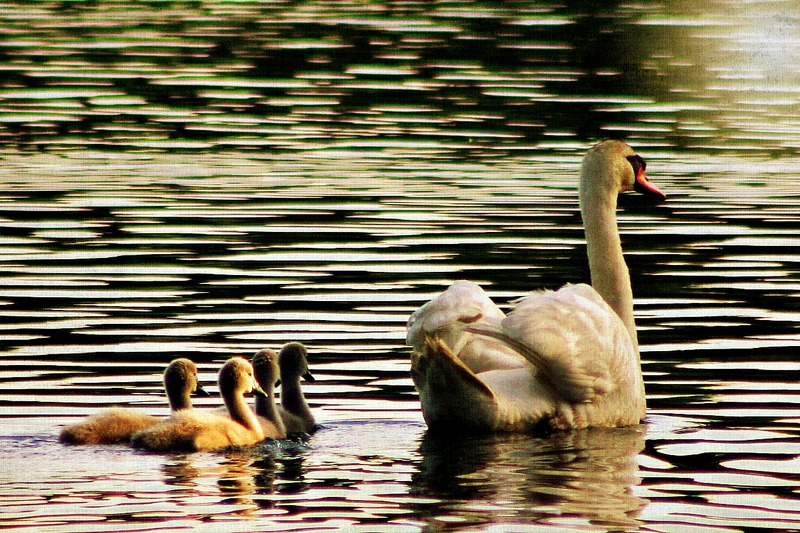 You are lucky to have swans nearby. Stunning captures of the play of the light on the subjects. Adorable! 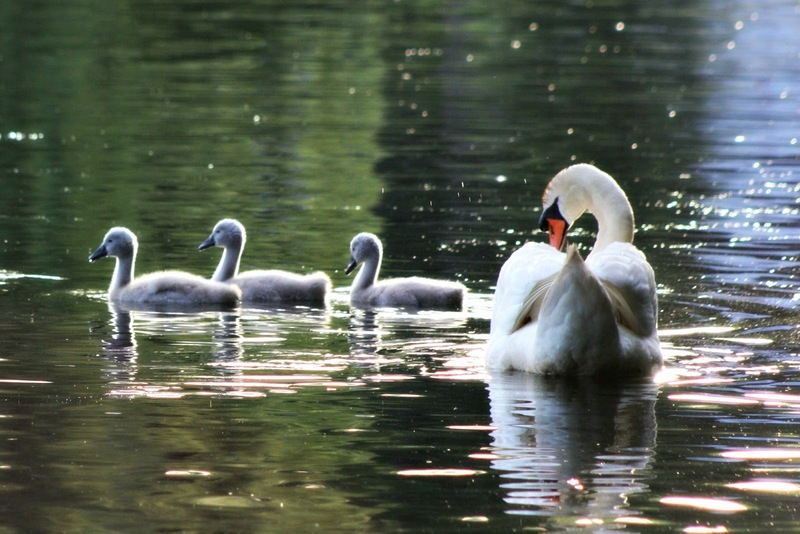 The light on the water and the whole family in that last image -- exquisite. What a joy for you to live so near this wonder! I love the light! My favorites are the 2 and the 3! Beautiful captures with the golden glow. They're so majestic, they look like royalty!